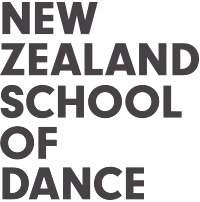 The New Zealand School of Dance has a specially equipped Pilates/Gyrotonic studio next to the dance studios. Pilates training enables students to overcome any biomechanic weaknesses, building a strong foundation for a long and successful dance career. Pilates body-conditioning develops core strength, improves flexibility, sculpts the body, lengthens musculature and helps prevent injury. The NZSD Pilates instructor is at the School to work with students three to four times a week. There is a fee for this service. Gyrotonic is a unique system of exercise that incorporates movement principles from yoga, dance, gymnastics, swimming and t’ai chi. Central to this is the Gyrotonic Expansion System, a specially designed wooden machine with rotational discs and weighted pulleys that allow the exerciser to strengthen their muscles using flowing, circular movements similar to dance. The major muscle groups work together as well as interdependently, which, over time, leads to increased coordination with more efficient muscle recruitment. A weekly class is held for three students at a time, where individual bio-mechanical and technical issues are assessed. Primarily for those with injuries but also available for any student needing individual assistance. This class serves as a link between injury rehabilitation, the use of Pilates / Gyrotonic exercises and correct dance technique.